In these two books, discover the power of prayer, how the joy of God’s transformation can truly change the world, and how to trust and worship God in the even the darkest of moments in your life. Each book delves into a different topic each just as important and helpful to any Christian’s life and walk. They help you follow and surrender. Join two award winning recording artists as they teach all that they’ve learned in their travels and walks not only as musicians, but most importantly, as Christians. In their books they explain what The Lord has taught them and what He can teach you. Their wisdom is inspired and is guaranteed to teach you some things about God and your relationship with Him. Because I got these two books as a group and because they’re both small gift books, I decided to clump together both reviews into one. I got these two books because they are different than what I normally read and I’m glad that I got the chance and that I accepted them. The reason I really got them was because of the authors, however I didn’t expect to get the large dose of wisdom and advice from each one. 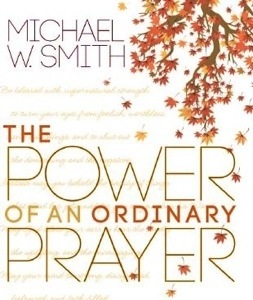 Michael W. Smith’s book had a lot of good stories and wisdom about prayer and encouraging those around you and Travis Cottrell’s book was chock full of what to do when times seem like they’ll never get better. Both had content that I really needed to hear and incorporate in my spiritual walk. 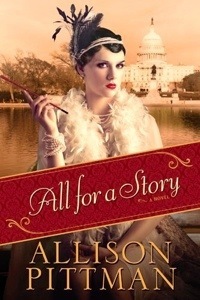 The stories in each book tugged on heart strings and showed the kind of faith that we all want. Mostly those stories made me want to do exactly what they were suggesting and I was amazed at how much faith some of them had. Also, the stories also made me view some points at different angles and opened my eyes to a different way of thinking about something. It was amazing. The best part of both, though was the teachings. Each said things that hit home in many ways. Even if I’ve already heard something similar before, the way they put it made me get it in a whole new way. Both definitely followed the Lord’s calling and their books are definitely something He put on their hearts to do. Despite their size neither of these books feel rushed or empty and I really learned something from each. I would like to maybe see them be expanded, though. These books really make you dig deep inside and evaluate your relationship with Christ and help you possibly have a stronger relationship with your Creator. I’m in love with these books and I highly recommend them. I look forward to seeing what else each recording artist has for the future, book wise. I fully intend to read more from each of them. Overall, I loved both of these and fully intend to read more from each. These are great for anyone looking to improve their relationship with Christ. 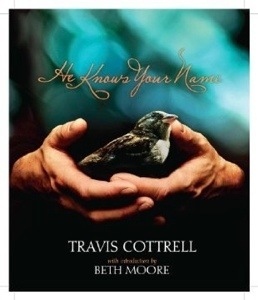 This book is best for adults but discerning teens can benefit from these books. I give both of these books five out of five. Even though this is a joint book review, they’re pretty small and I ran out of things to say so I’m going to cut this one short.